Artist Laura Fantini and QBG’s horticultural staff discussed the stories behind her work and went for a walk to see different depicted species growing in QBG’s living collections. In Hope, Laura Fantini’s intricately detailed pencil drawings of seeds she has collected throughout NYC and Italy, explore the fundamental power of seeds, new beginnings, and growth. In Hope, Laura Fantini’s intricately detailed pencil drawings of seeds she has collected throughout NYC and Italy explore the fundamental power of seeds, new beginnings, and growth. 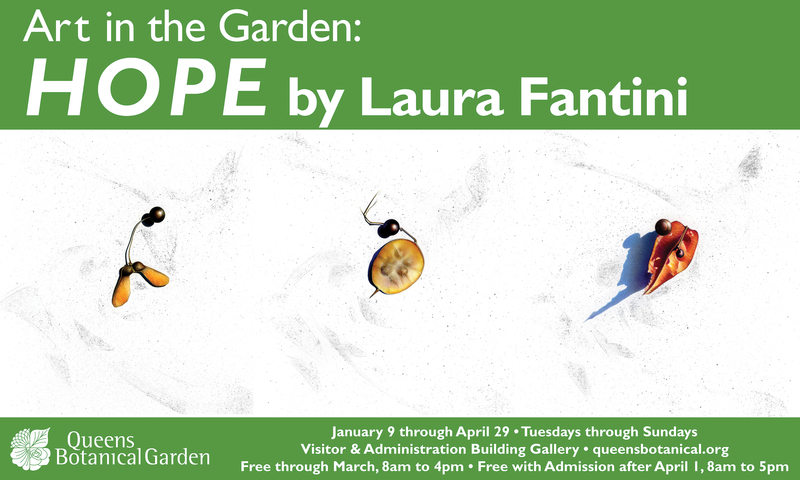 My solo exhibition Hope is on view at the Queens Botanical Garden through April 29. This exhibition includes colored pencil drawings from my new series, “Hope”. Here the power of seeds plays a fundamental role. It is a positive and optimistic message because seeds represent hope and a new beginning. My artwork called “Hope (21)” was included in The Art of the Heirloom exhibition and was on display at the National Heirloom Expo, an important event held in Santa Rosa, CA on September 5-7, 2017. The Art of the Heirloom is an exhibition of artist’s interpretations and contemplations of heirloom seeds and the cultural importance of preserving our collective garden heritage. The Art of the Heirloom is back for the seventh year. The Expo is a rare gathering, in Santa Rosa, California, of gardeners, food activists, farmers, and seedy people from all over the country. With educational lectures, activities, and incredible keynote speakers, the Expo brings in 20,000+ people while raising awareness about heirloom seeds. For the past two decades, Ms. Fantini’s artistic practice has been exclusively dedicated to colored pencils. 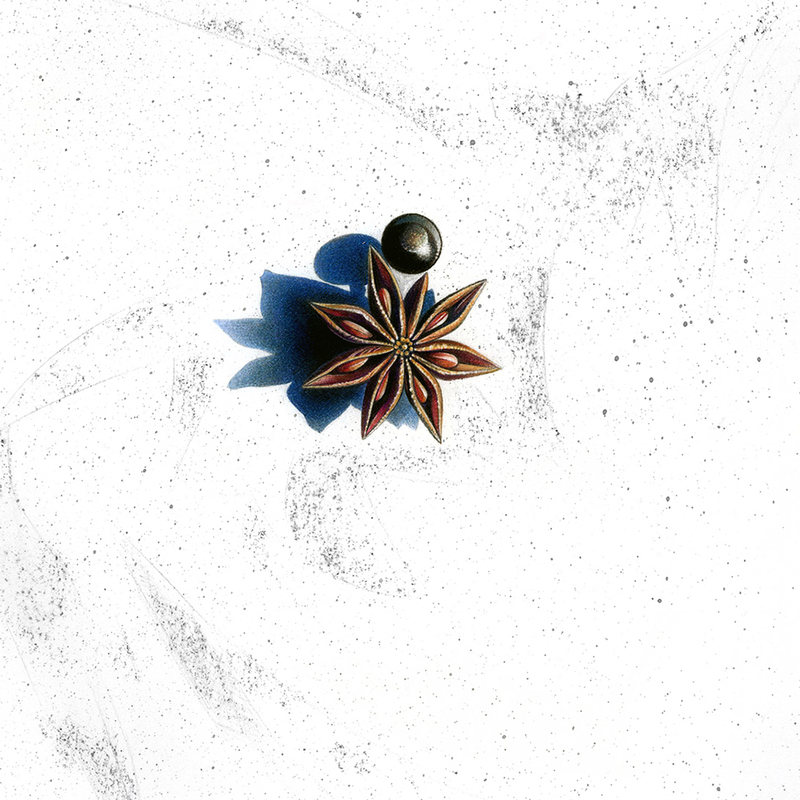 In the last few years, she has devoted herself to the rendering of simple still-life objects found in nature. Her work is smooth and appears to be almost photographic at a first look. However, a closer look reveals great intricacy of detail. 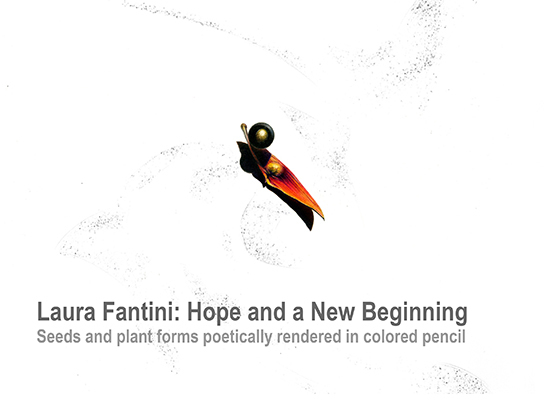 From thousands upon thousands of precise, distinct, cross-hatched pencil-strokes, Fantini builds up rich tones. “Hope and a new beginning” includes colored pencil drawings from a new series, “Hope”. Here the power of seeds plays a fundamental role. It is a positive and optimistic message because seeds represent hope and a new beginning. They are an integral part of who we are and emblematic of birth and growth. They are small, but complicated and mysterious, and what they do is extraordinary and magnificent. Without seeds life would be threatened, from human beings to plants and animals. Sometimes a seed is all that remains of a plant. It is the beginning and the end, but also the hope for the next generation. Through these detailed small drawings, the viewer will come to realize how a pencil for an artist can be as powerful as a tiny seed in nature. 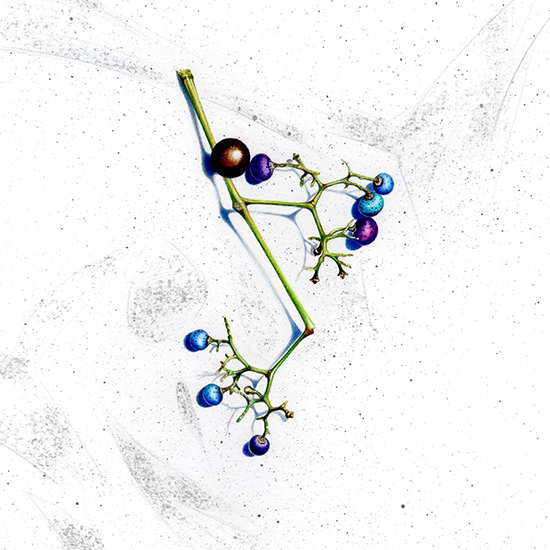 This exhibition includes a new series of drawings of seeds (10×10 inches – 16×16 inches, framed size) found mostly in US and the Brooklyn Botanic Garden, but also Italy.